The Los Angeles Film Festival opens today and runs until July 2nd. 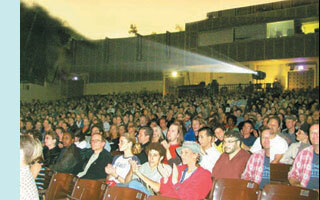 The screenings will be held in venues throughout Westwood. Star Wars empresario George Lucas acts as Guest Director this year. Lucas has this to say about independent film, "Throughout my life, I have been amazed and inspired by films that transport me to new lands .... The experience of discovering these new cultures, new stories and new filmmakers is exhilarating and rejuvenating." Danger Mouse opened up the festival last week at the Hammer. My thoughts on that conversation will appear soon. I recently wrote on the extraordinary ink on paper technique of the 18th century Japanese artist Nagasawa Rosetsu. Newly on view at the Asian Art Museum in San Francisco is Rosetsu's "Elephant and Children". This painting combines a daring composition with rich and varied brush techniques. The Asian Art Museum has determined that Rosetsu "depicted the elephant's huge body, large ears, trunk, and legs with minimal strokes using a flat brush, afterward using a round brush quickly but carefully to fill in details such as the children." 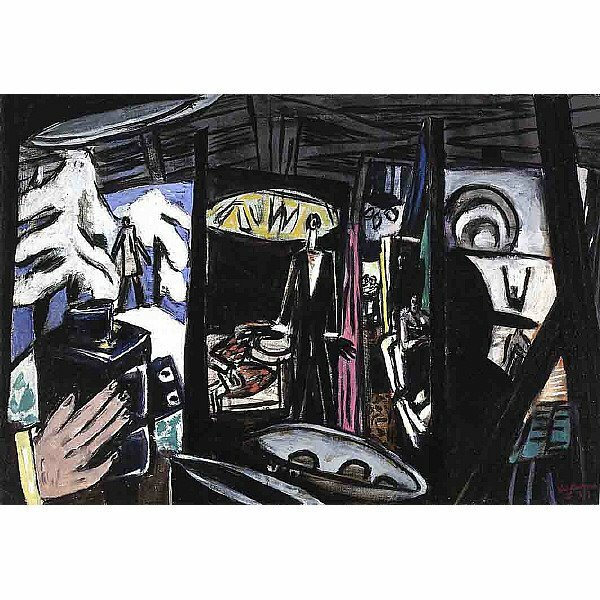 Rosetsu's paintings are witty, at times charming, but usually contain a hint of mystery or even dread. Rosetsu "is said to have had a volatile temperament, and his life ended under mysterious circumstances, possibly murder or suicide." 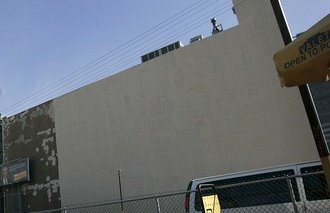 "(The Ed Ruscha mural) has always been such a popular piece in the art world and in Los Angeles. I had no idea it was in danger in any way," he said. 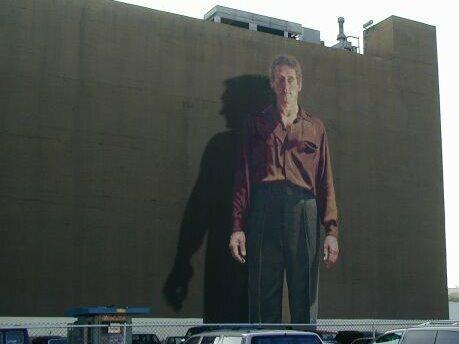 "It was sort of my 'Mona Lisa'; I worked on it for nine years." 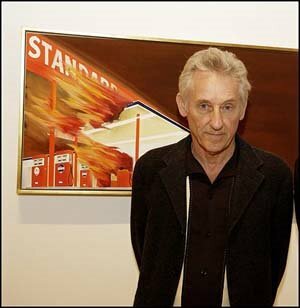 Ed Ruscha in a brooding Firestarter pose. Do they really want to mess with this man's portrait? Katharine Close, an eighth-grader at the H.W. 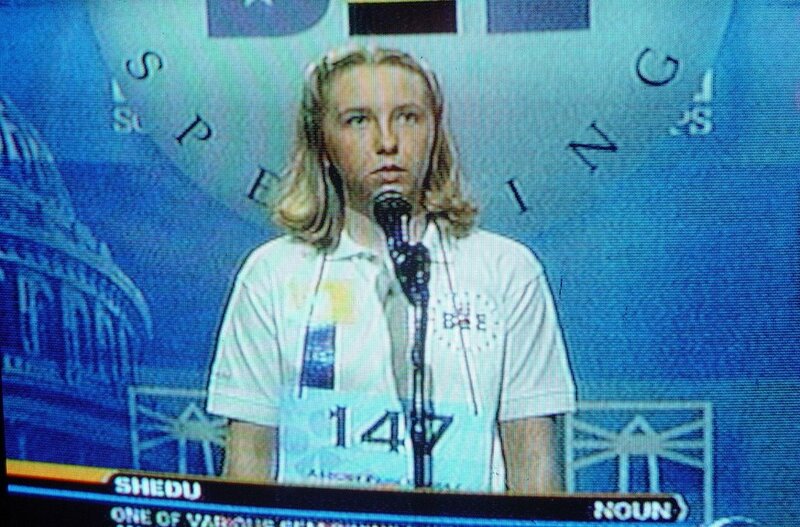 Mountz School in Spring Lake, New Jersey, becomes the first girl since 1999 to win the national spelling bee. After spelling "ursprache" correctly, Katharine Close stepped back from the microphone and put her hands to her mouth upon being declared the winner. "I'm just in shock," Katharine said. Asked what she'll remember most, she said: "Probably just hearing 'ursprache,' which is a parent language." The word "weltzschmerz", which we all should reflect upon as it means sadness over evil in the world, tripped up the second place finisher - Finola Mei Hwa Hackett, a 14-year-old Canadian.